With a unique combination of technology, domestic and international tax expertise, and experience resolving issues at all levels of the Internal Revenue Service, we are well positioned to analyze and enhance your domestic production activity deductions (DPAD). Our DPAD clients range from small corporations and pass-through entities to Fortune 500 Companies with complex consolidated groups. Our DPAD advice is comprehensive, covering all the issues you need to consider if you conduct some or all of your business operations in the United States, or if you act as a contract manufacturer, or engage contract manufacturers, in your production process. Our technology and expertise allow us to identify and maximize domestic production gross receipts (DPGR) generated by traditional manufacturers, energy producers, mining and extraction companies, agricultural enterprises, film production and software development companies, and construction and engineering services firms. Because the activities that qualify for DPAD benefits are broadly defined, we often discover significant amounts of unclaimed qualified revenue. To further enhance DPAD benefits, we utilize our unique combination of legal and accounting skills to carefully analyze the wide array of business expenses that may be allocated to, or away from, DPGR. The end result is a well-documented DPAD benefit that reflects the full scope of the incentive intended by Congress. 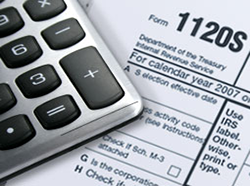 In many cases, our DPAD analysis also brings to light additional tax minimization opportunities, such as enhanced export incentives, improved foreign tax credit utilization, additional depletion, excise tax refunds, and other tax benefits that often are missed by attest firms and other less-experienced service providers. to discuss the unique ways Profit Point Tax can decrease your company’s effective tax rate and increase its cash flow and earnings per share.